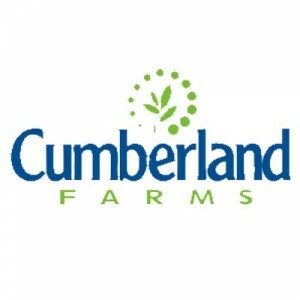 Cumberland Farms is a convenience store chain that offers gas, drinks, and snacks in many of its locations. While it’s headquartered in Massachusetts, it has branches across eleven states, including Florida, New York, Maine, and Connecticut. The company started as a dairy farm in Rhode Island, owned by Vasilios and Aphrodite Haseotes. More than two decades after its establishment in 1938, Cumberland entered the convenience store industry. Further expansion was made possible through effective marketing strategies. The company has more than 700 stores at present, with an employee count of approximately 7,000. The convenience store chain has been part of Computerworld’s Honors Program, proof that they’re using IT to facilitate positive changes in the workplace. Employees gain access to 401k plans upon staying with the company for at least six months. They also enjoy paid time off. As for health insurance, only fulltime employees are given full coverage. Part-timers are only given vision insurance. Employees remain loyal to the company for a number of reasons. Aside from the benefits they’re given, employees appreciate the competitive salary and promotion opportunities. They also like that camaraderie is built among team members. Only individuals who are at least 18 years of age are allowed to continue the application process. This is a rule that’s enforced in all branches and is deemed an eliminatory criteria by the hiring team. The company usually has hundreds of open positions throughout their many locations. Applicants may choose from five major career areas, namely retail operations, distribution and manufacturing, maintenance and construction, drivers and mechanics, and store support. Field Inventory Control Specialist: Landing this job means you will have to check all the merchandise in your assigned branch, keeping track of products that can be sold as well as those that have been damaged or returned. You will need to come up with an accurate inventory and identify potential discrepancies and unreported sales. Customer Experience Specialist: Being a Customer Experience Specialist will require you to visit a number of stores once or twice weekly. You will note the quality of service being provided by the staff of each location, sending the information to the higher ups through an online survey. You’ll be expected to maintain your anonymity during visits. Field Merchandiser: This position comes with the responsibility of setting up both new and remodeled branches. Everything, from the sales floor to the backroom storage, must be carefully arranged. The Field Merchandiser is also in charge whenever new products or fixtures need to be added. IT Support Technician: If you’re assigned to work as an IT Support Technician, you’ll have to be ready to provide immediate assistance to both store personnel and management-level staff. You will have to keep track of any critical issues that may arise by following a standardized process. Retail Sales Associate: Being a Retail Sales Associate means you will be expected to politely communicate with customers and answer any question they may have. Basic store maintenance (such as keeping the floors and shelves clean) will also be among your key responsibilities. Food Service Leader: If you’re aiming to become a Food Service Leader, you should be able to assist customers, particularly those who’d like to purchase sandwiches or beverages. Keep in mind that you will also have to handle cash register operations and follow quality control guidelines. Manager In Training: Upon getting accepted into the Manager In Training program, you’re expected to learn about stock forecasting, sales improvement, and theft prevention, among other things. Completing the program (24 weeks) will put you next in line for the Store Manager position. Quality Assurance Technician: A Quality Assurance Technician checks all regularly produced in-store items, paying attention on whether company standards are being met. Hygiene monitoring (such as through swabs), statistical analyses (for the manufacturing process), and lab equipment cleanup are also among a Quality Assurance Technician’s duties. Food Production Line Helper: Landing this job means you will be put in the food assembly line. You will have to be flexible enough to work effectively regardless of the station you’re assigned to (maintaining both accuracy and speed), all while following quality control protocols. Driver’s Helper: Becoming a Driver’s Helper will require you to assist the driver whenever there’s a need to transfer goods from the trailer to the store. You should be capable of lifting products weighing up to 70 pounds, as well as push carts with a total weight of 400 pounds. If you wish to apply for any position, simply head on to the company site’s careers page. You’ll find an updated list of jobs for all career areas. You may search by title, category, state, city, or address. Online application is encouraged but walk-ins are an option. Do note though, that there’s no downloadable application form on the company’s careers page. So, you’ll need to ask for one if you’re planning to apply directly at a nearby store. The online application form is rather brief, but still contains important fields that you’ll have to honestly fill out. Don’t forget to provide the correct value or information for your years of retail experience, preferred schedule, and current job title. When you’re asked to submit your resume, be sure to at least scan it for potential errors. Also, it would be most beneficial to highlight any experience or skill you may have that would perfectly suit your preferred position. If you filed your application online, you should be called in for an interview within a week. As in any interview, you need to be at your best—properly dressed, as well as eager to answer and ask questions. Cumberland Farms maintains a culture of teamwork, which encourages employees to do their best and be supportive of one another. This is also why employees feel generally optimistic about the convenience store chain’s management. The company was recently ranked best in customer service by Convenience Store (C-Store) Decisions, a magazine that specializes in tracking performance and progress in the convenience store industry. Cumberland Farms is known for offering topnotch service, with a focus on friendliness, cleanliness, and convenience. It’s also been associated with continuous improvement as it has always provided the latest in the industry despite being a decades-old company. The convenience store chain engages in a number of charity work. It has scholarship programs (open to 130 students yearly) and disaster relief operations (most recently for those affected by Hurricanes Irma and Harvey). 1 How old do you have to be to work at Cumberland Farms?